Our eyeglass displays can be found in stores and malls across the country. Our quality eyeglass displays can have many usages. From simple storage products, display items, or travel cases, we have the item you are looking for. We can customize any display to encompass exactly what you need. We have many items fit for a nationwide chain as well as products best suited for personal use. 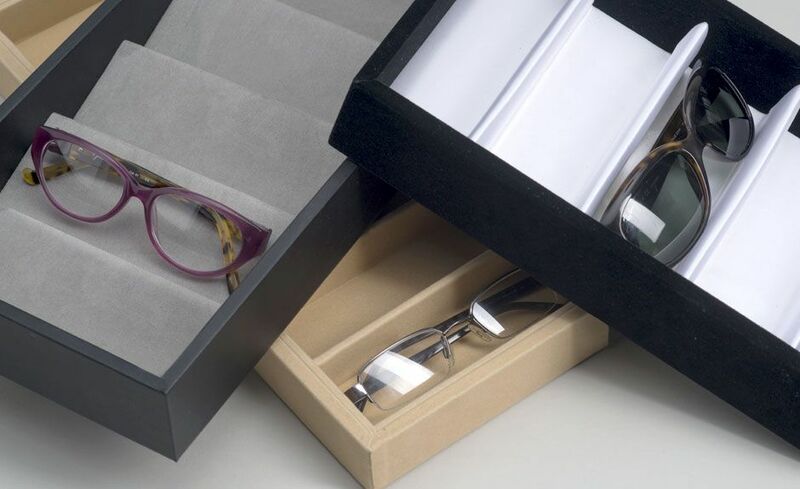 Eyeglass Displays can be custom made with additional cardboard or foam, no foam, masonite, or artcore inside. Fabrics are available in a variety of colors. 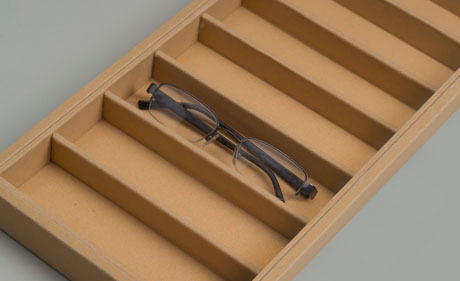 Trays with accordion style dividers perfect for displaying your glasses. 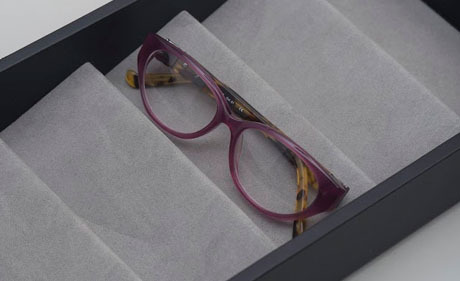 Accordion style allows for the eyeglasses to be held on an angle to securely hold your eyewear in place. 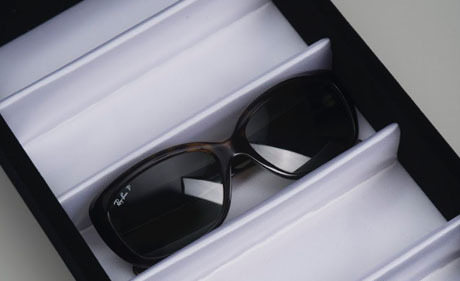 Protect your sunglasses with an eyeglass case with a lid. Lid can be made solid or acrylic. Ideal for eyeglass displays at shows or within stores the eyeglass pad with elastics can hold many eyeglasses securely in place. Add a logo to the pad to highlight your brand.